Flowers, plants, and trees don't usually get up and walk away on their own, but a small gust of wind at even the lowest miles-per-hour can wreak havoc on fragile stems. 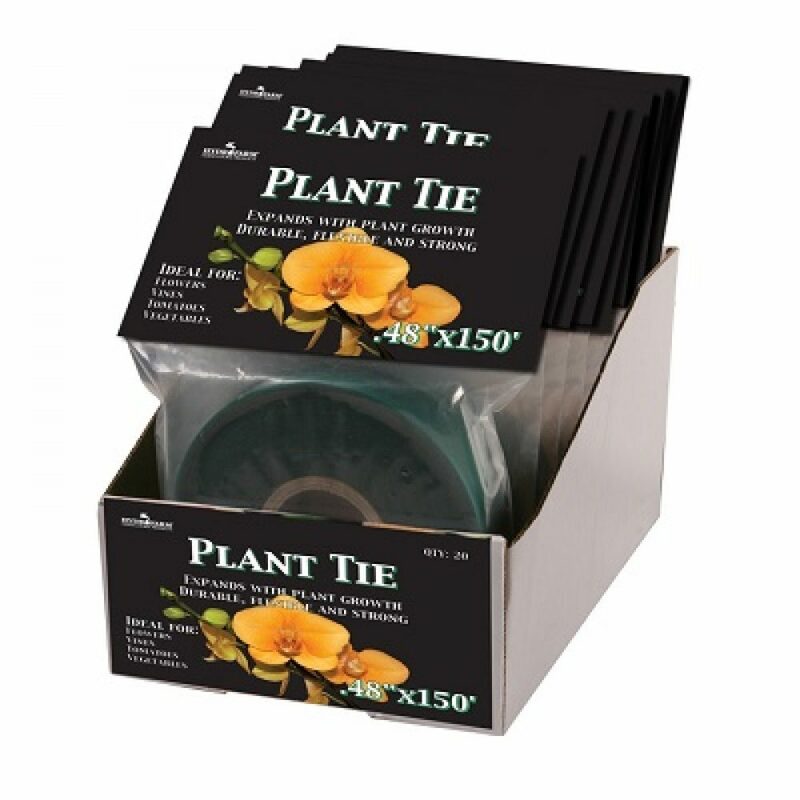 Secure your garden with plant ties. This .48″ by 150' roll of material won't cut or damage plants — in fact, the material is constructed to actually grow with the plants. Flowers, vines, and eatables such as tomatoes and vegetables can benefit from extra support from plant ties. Cut the roll to your needed length, then wrap the tie to a plant and a sturdy anchor. Your plants will thank you!